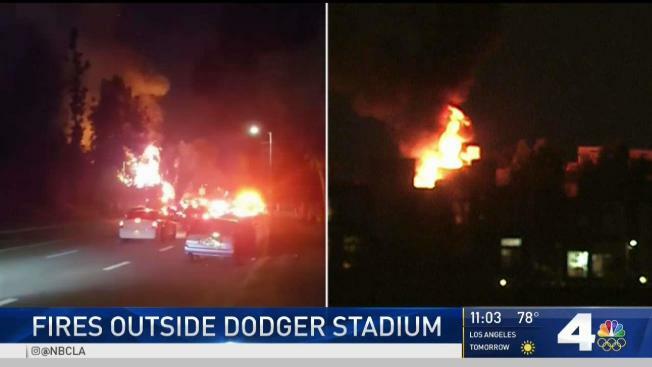 A brush fire and a house fire broke out Wednesday night near Dodger Stadium while a sellout crowd watched the second game of the World Series, but authorities said no one at the venue was in danger. 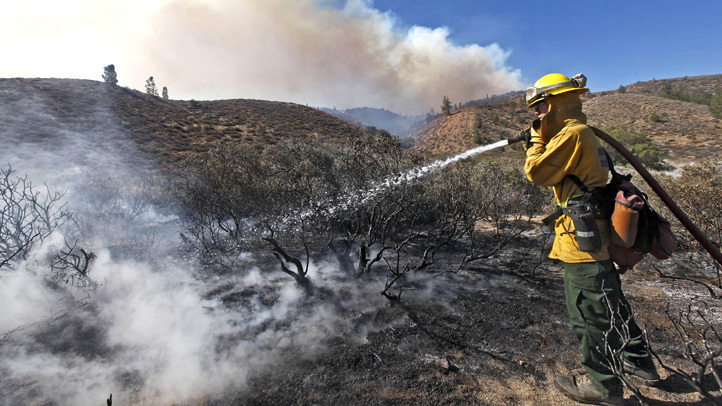 A grass fire was reported at 7:35 p.m. in the 1800 block of Academy Road, west of the Los Angeles Police Department Academy running track, and burned about two acres before firefighters put it out. Knockdown was declared at 8:23 p.m., according to Brian Humphrey of the Los Angeles Fire Department. 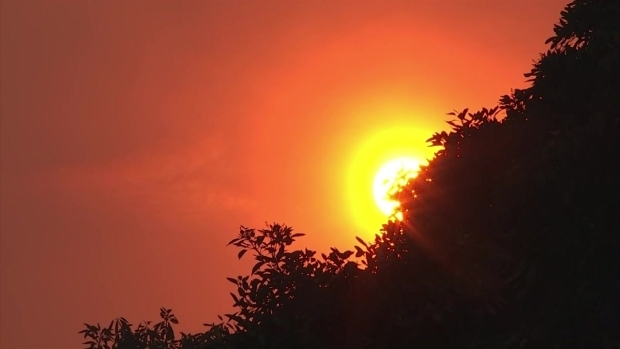 At about 8:15 p.m., a fire was reported on the third-floor balcony of a three-story town home in the 1000 block of Everett Place in the Elysian Park- Echo Park area, Humphrey said. "My first instinct was to grab the hose and douse the bushes in the far corner just in case any sparks came from the rooftop," Gerard Lin, a neighbor of the structural fire, said. The owner of the town home that caught flames was at the Dodgers game and returned to find firefighters mopping his then-doused home. A helicopter, already on scene to battle the grass fire, made two water drops and doused the open flames that appeared to be engulfing the building's roof. The fire did minimal damage to the interior, Humphrey said. "It was a quick knockdown," Los Angeles City Fire Assistant Chief Tim Ernst said. "Fortunately, by having that helicopter close by we were able to actually fo a water drop on the structure fire." No injuries were reported as a result of either fire and fans attending the game were not in danger, he said.